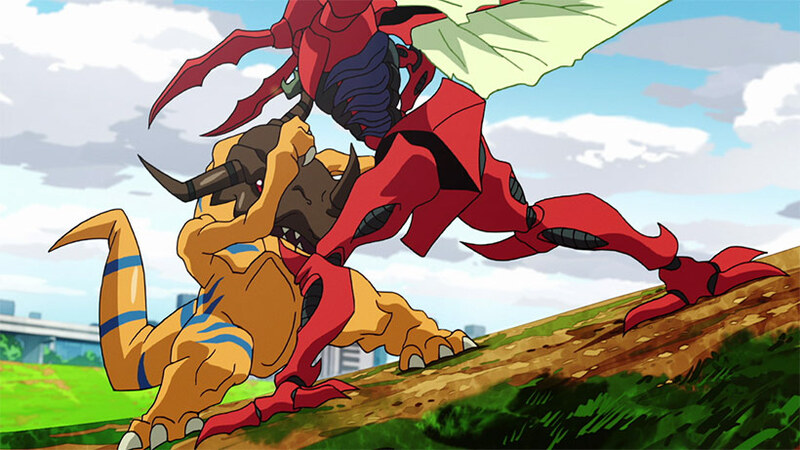 Digimon Adventure Tri Part 1 – Reunion is an ambitious continuation of the popular anime series which began in 1999. Instead of going back to the TV format though, Toei has opted to tell its latest story arc across 6 feature-length movies. With the films coming to an end shortly (the final entry will screen in Japan later this year), we’re now lucky enough to kick off a local release starting off with the first entry, Reunion. 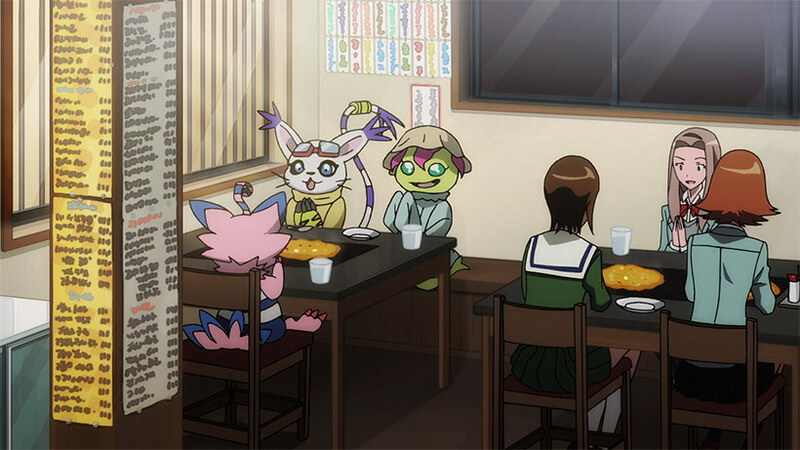 Set six years after the events of Digimon Adventure 01, the original DigiDestined are busy working through their daily lives as high school students. The oldest team members are busy preparing for university exams and career planning, while the younger members are preoccupied with everyday life as high school students by juggling commitments outside of their studies and managing their questionable choices of hair style while being prone to the moody blues. Being a Digimon movie we see the usual crossover between the real world and digital realm by way of explosions, monsters and the ultimate power of all – friendship (or courage? Pick and choose, either works). This in turn necessitates a reunion (!) between Digimon and the DigiDestined, henshin sequences and a slight expansion to the cast from Digimon Adventure 01. 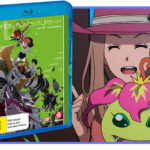 Digimon Adventure Tri Part 1 – Reunion is an interesting mix of ideas, but nothing outlandishly ambitious as far as the story goes. There’s some nice work unveiling the mystery behind some of the forces at play and people involved, the Digimon naturally evolve to blow more stuff up, but there’s nothing in there that will make you do a double-take. Taichi’s Shinji-like whinging was a bit unexpected but they manage to resolve that with a bit more nuance compared to how this was handled in the earlier TV series’. The action and production values benefit from the choice of a theatrical format, though the iconic (and rather excellent) direction from Mamoru Hosoda’s work on the short movies based off Digimon Adventure 01 is missed. Still, the changes to character designs and overall direction match up nicely, and the CG has been implemented tastefully. 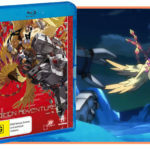 Contrary to the above, even though it failed to push boundaries Digimon Adventure Tri Part 1 – Reunion does a magnificent job building on its legacy. The inspired reprise of Butterfly in the opening credits is the kind of gentle nod that should make any fan’s mind explode just a little bit, and the follow up with revisiting Brave Heart during the transformation/action sequences was just awesome. The script’s reliance on the slice of life side of things for the majority of the film and the interaction between its core cast is also performed admirably – the scene with Agumon and Gabumon hanging out in the Yagami family apartment was a really nice demonstration of this, effectively bringing us longtime fans home to the unusual familiarity of the whole experience. In this sense the team clearly know that Digimon Adventure is at its best when it fuses the supernatural elements with the characters in the real world. In Digimon Adventure 01 this was where things really got interesting and was instrumental in keeping things fresh in the second season, and if they were to set the majority of this film in the digital world I’d have probably been far less enthusiastic about it, especially as an opening to a multi-part cinematic series. So it’s part fanservice, part pragmatism, but on the whole it comes off as a balanced approach to revisiting the series’ roots. 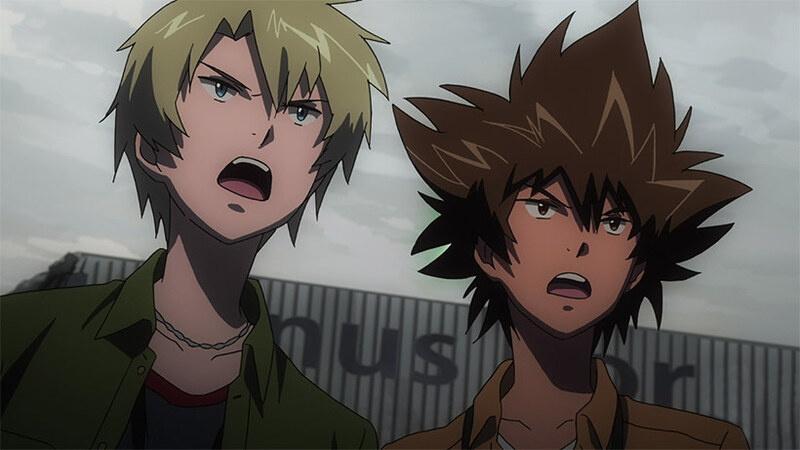 The focus on the fans extends to the cast who come back to reprise their roles in the Japanese version of Digimon Adventure Tri Part 1 – Reunion, as expected, but what was quite surprising is that many actors from the original English localisation came back to reprise their roles. This results in the localised names being retained in the English dub for the sake of consistency, but in a nice move for fans of the original Japanese version, the subtitles reflect the source material to the point where they’re using honorifics (therefore weeb-approved). While I have a soft spot for the original localisation, I ended up watching this in Japanese so can’t comment too deeply on the extent of the returning cast, but the return of its core cast is a lovely tip of the hat for those who started getting into Digimon 17 years ago via the broadcast localisation. 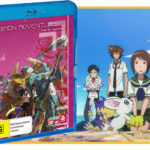 The package for Digimon Adventure Tri Part 1 – Reunion is very solid. The transfer is as shiny as you’d expect from a modern blu-ray release, though it seems an interesting decision to add in stereo LPCM tracks for the Japanese and English audio in addition to a DTS-HD 5.1 mix for the dub. This means the English dub likely benefits from a more dynamic soundstage, but the consolation prize is that at least the Japanese audio is uncompressed. Given the Japanese release has a 5.1 mix this outcome may have been driven by contract agreements for fear of reverse importation, something that seems to have a habit of cropping up when it comes to anime released outside Japan. In terms of extras we actually have a really great featurette interviewing the production team for the English dub, which included lots of great interview footage with the returning cast reflecting on their roles in the original localisation nearly 20 years ago and the ongoing cult following the series has enjoyed overseas. Oh, and I’ll put my vote in for Madman’s choice of cover art – having seen the US version I have to say I really like this choice, nice to have the wider cast acknowledged on the cover! 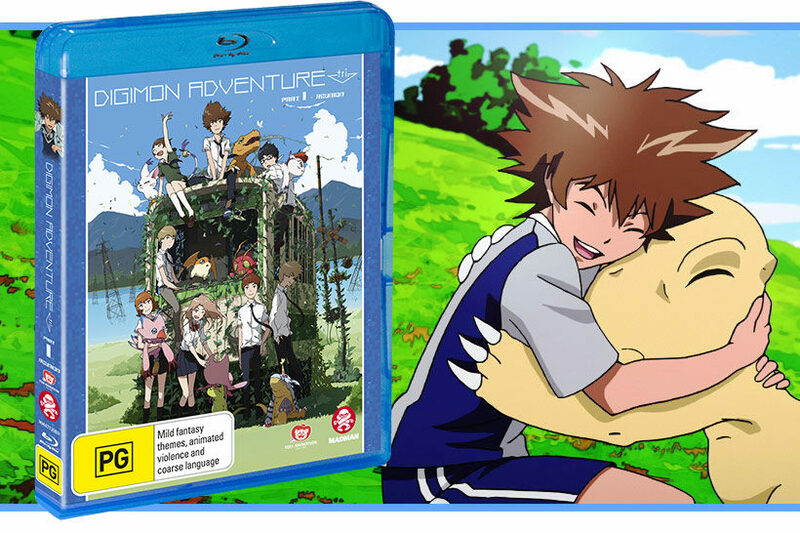 Digimon Adventure Tri Part 1 – Reunion was an unexpected pleasure to review. It hit all the right nostalgia notes, the production values were excellent and the soundtrack did a great job bringing together an action-focused narrative that will hopefully benefit through a more comprehensive story as the series goes on. Highly recommended, especially if you’re a fan of Digimon Adventure 01 and 02.